Graphic package A is just the basics, including the header and counter graphics. 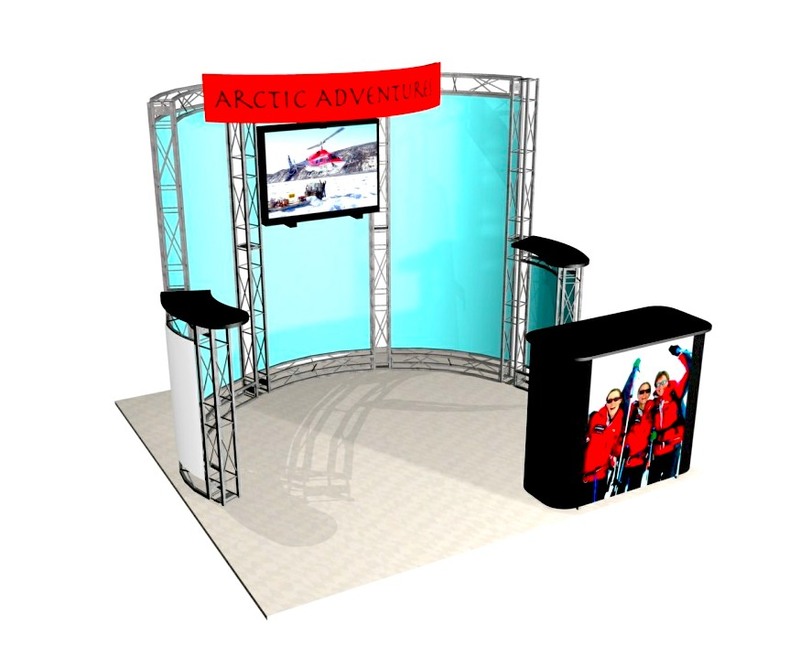 The backwall consists of (3) 42″ wide curved fabric panels and 2 small side fabric panels (under the counters) in your choice of 34 colors. 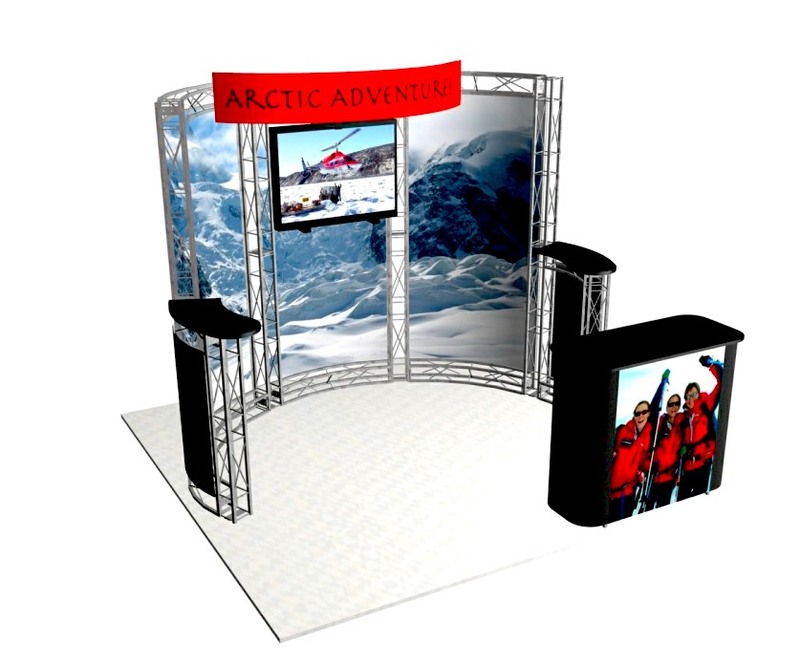 If you can use the same header & counter graphic for your next show, we’ll store them free of charge and your total rental cost will be only $2,340.00. Package C fills all the panels entirely with graphics except for the 2 small side panels. 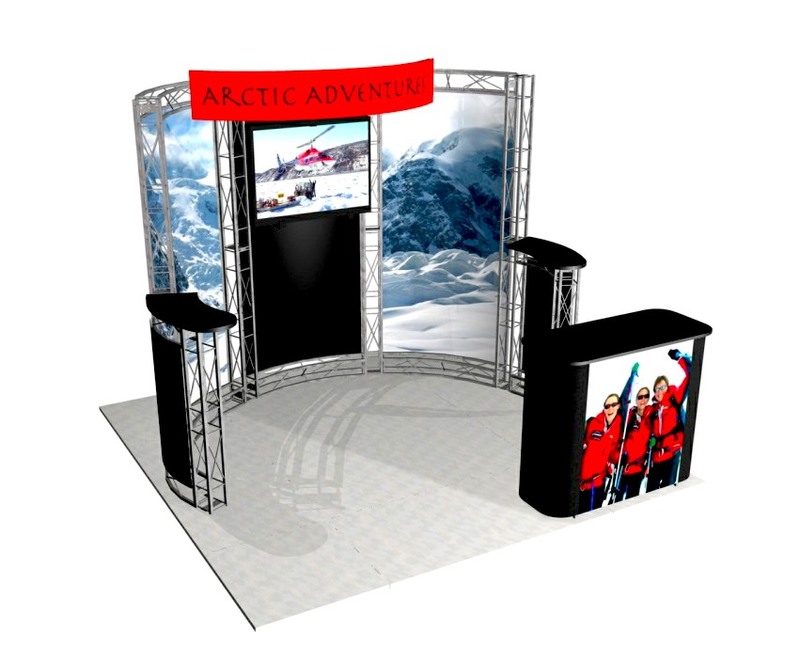 Graphics can be added to those if desired for an additional cost. If your graphics can be used for multiple shows only pay the base price of $2,340.00 for future shows.